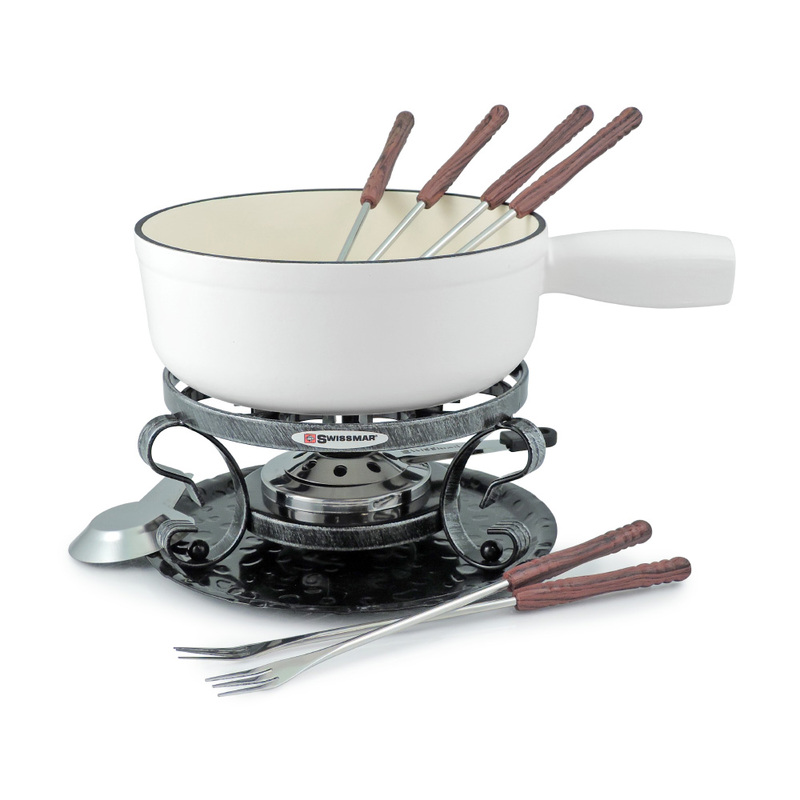 Traditional style cast iron cheese fondue set includes matte white pot, black wrought iron rechaud, six cheese fondue forks and fondue burner. Pot is enameled inside and provides even heat distribution. Can be used on all heat sources - easy to clean. Capacity 2L/2 Qt. Gift boxed.